The Pet Wiki > Cats > Cat Care > Should you let your Cat eat grass? September 8, 2015 Comments Off on Should you let your Cat eat grass? Can cats eat grass? Yes, it’s okay! First, let’s examine why cats like to nibble on grass. No one knows for sure, but it could be that grass-eating helps with the elimination of fur balls. It might also help maintain a healthy digestive system. In the wild, cats eat herbivores so it could be that they just enjoy the taste. Some believe it’s an inherited taste to rid the cat of parasites. 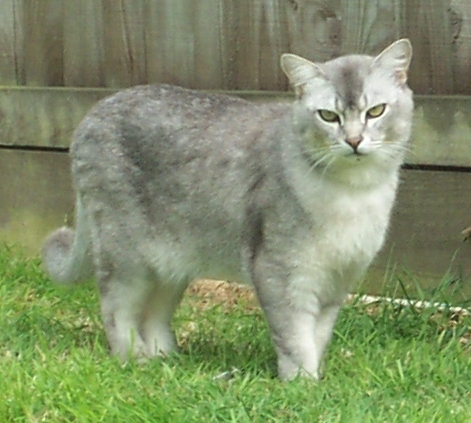 Another theory is that cats that have a folic acid deficiency eat grass which contains folic acid. 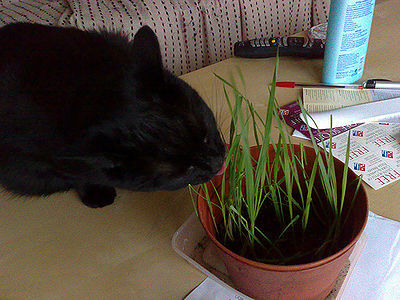 If you don’t provide grass for your cat, they sometimes will turn to eating house plants. This can be dangerous as many house plants are poisonous to pets. When keeping indoor plants, check to make sure there is no danger to your cat. If your cat indulges outdoors, don’t use pesticides or fertilizers or any chemicals as these will poison your cat. Even if these chemicals have dried on the grass, your cat’s paws will pick up residue and then your cat will lick its paws, ingesting the poison. Beware of pesticides or fertilizers that can blow onto your lawn from your neighbor. If your neighbor does use these poisons, in a nice manner, explain how the use of green products work just as well to create a beautiful lawn. Start a compost pile and use as fertilizer. Pull weeds by hand. Use dish soap in water and spray for bugs. Cats exposed to lawn chemicals can experience these symptoms: eyes tearing, drooling, excessive urination, abdominal pain, nausea, vomiting, weakness, muscle twitching, wobbly gait, collapse. These toxins affect the liver, kidneys, gastrointestinal tract and muscles. 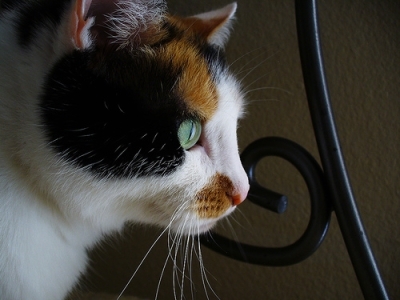 If any of these symptoms are present in your cat, seek veterinary care immediately. If your cat doesn’t have access to outdoor grass, you can grow some indoors. 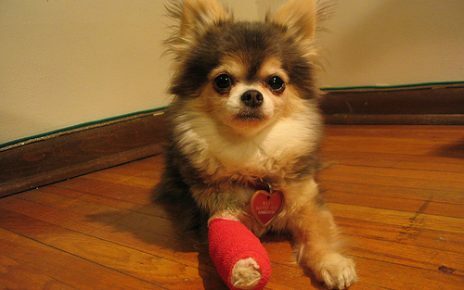 Your pet shop has kits that contain grass seeds, soil and a planter, making it a simple chore. Just follow directions and your cat will have a delicious and safe treat to snack on. Grass could also help to give cats some fiber, kind of like us eating salad. Consider giving your cat sprouts to nibble on. You can start them from seeds or purchase seedlings at the nursery. Try to stick to organically grown sprouts from supermarket and nursery. Sprouts have more easily digestible vitamins, minerals, proteins and enzymes. They are a great source of many nutrients.